SMARTnet provides enhancement and maintenance support resources during the operational lifetime of your Cisco networking device. SMARTnet augments the resources of your operations staff; it provides them with access to a wealth of expertise (both on line and via telephone), the ability to refresh their system software at will, and a range of hardware advance replacement options. 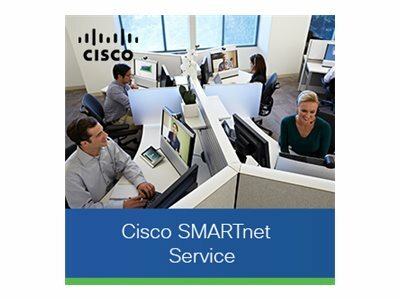 This level of SMARTnet service delivers 8x5 Next Business Day hardware replacement, operating system updates (within your licensed feature set), 24x7 access to the Cisco Technical Assistance Center (TAC), and anytime access to the extensive Cisco.com online knowledge base, resources, and tools. You’ll also get Smart Services Diagnostics and Alerts.